Underneath the hood of AJAC’s 2017 Best New Sports/Performance car is a powerful 1.6L turbocharged engine delivering 201 horsepower and 195 lb-ft of torque. But power is nothing without precision. Underneath the hood of AJAC’s 2017 Best New Sports/Performance car is a powerful 1.6L turbocharged engine delivering 201 horsepower and 195 lb-ft of torque. But power is nothing without precision. At the core is the SUPERSTRUCTURE™. 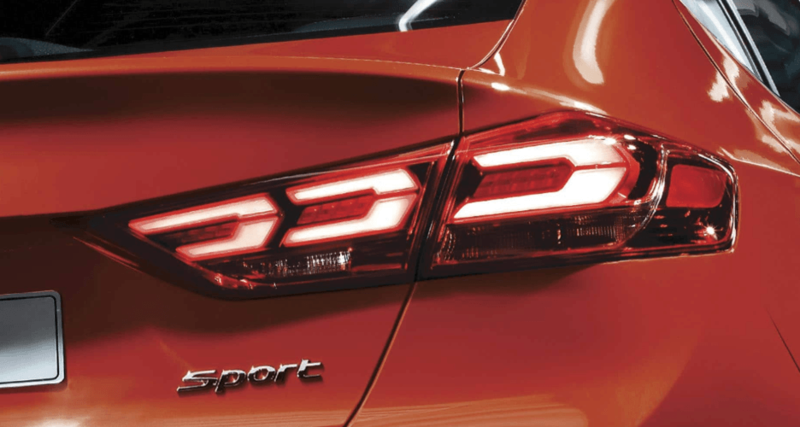 Constructed of our Advanced High Strength Steel to deliver an ultra-rigid frame that allowed even greater precision when tuning the key suspension components, so that when we outfitted and sport-tuned the Elantra Sport with an independent multi-link rear suspension, you would feel it. The unique front bumper design sets the tone with sharp body lines that frame an aggressive black and chrome front grille. An exclusive “Turbo” badge makes a bold statement. Not only will you see a new grille, but there are new headlight and tail light designs that offer a beautiful outline which features LED technology to achieve a brighter beam and increased visibility. Standard LED tail lights feature a unique design and provide added visibility at night. 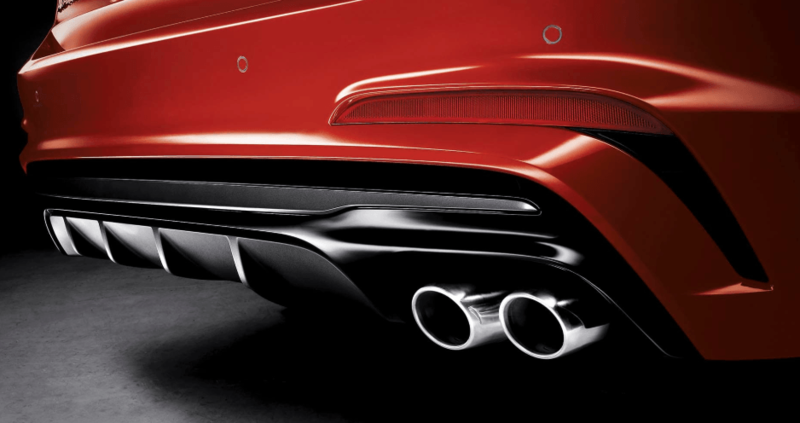 Twin-tip exhaust outlets and a diffuser seamlessly integrate into the rear bumper, delivering outstanding style and a riveting sound. The hands-free smart trunk unlocks and opens automatically when it senses the proximity key within three feet for more than three seconds. Enjoy the sun, the moon, and the stars through the standard sunroof. YDetailed sport accents run along the front dash of the Elantra Sport. To complement this, the sportier cabin also features a black headliner, blacked out trim along the shifter and door handles, and a supervision sport cluster for all your gauges. The standard 7.0” touch-screen provides an intuitive interface for you to stream music from your smartphone. Sporty Cluster Display. The enhanced styled cluster delivers a sportier look. The available dual-zone automatic climate control settings allow both driver and front passenger to select their own climate settings. Packaged with Canada’s cold winters in mind, enjoy standard heated front seats and a standard heated steering wheel. Approach your Elantra Sport with the proximity key in your pocket to lock or unlock your car and start the engine with just the push of a button. The rigid composition of the superstructure not only delivers safety, the stronger and stiffer frame means our engineers can tun key suspension components more precisely to enhance handling responsiveness and performance. The standard 1.6 litre, turbocharged, GDI four-cylinder engine delivers an impressive 201 horsepower along with 195 lb-ft of torque. Drivers may choose between a six-speed manual transmission or a seven-speed dual clutch transmission with paddle shifters. At the core of the Elantra is the SUPERSTRUCTURE™, a state-of-the-art platform that is the foundation of the Elantra lineup. Over half of the SUPERSTRUCTURE™ is comprised of Hyundai’s Advanced High Strength Steel for exceptional stiffness and strength of the frame. In the event of a collision, the SUPERSTRUCTURE™ helps protect occupants inside the vehicle by absorbing harmful energy and redirecting it away from the passenger compartment. Capable of sensing an automobile approaching a drivers’ blind spot, the standard Blind Spot Detection provides both an audible and visual alert to help reduce the potential for a collision. This features works with the Lane Change Assist, which measures the closing speed of traffic approaching in adjacent lanes, to help determine if a lane change is safe. 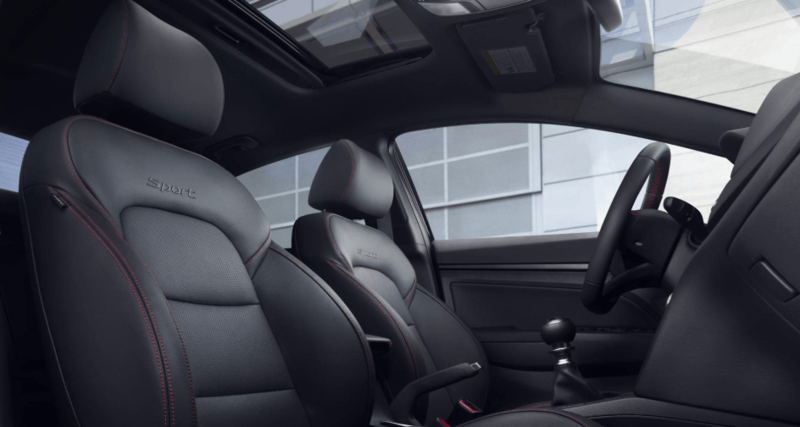 The Elantra Sport is equipped with seven standard airbags, including driver’s knee, front, side-impact, and side-curtain, both front and back, to give you added protection in case of an accident. Stay connected with the entertainment you love and the information you need. 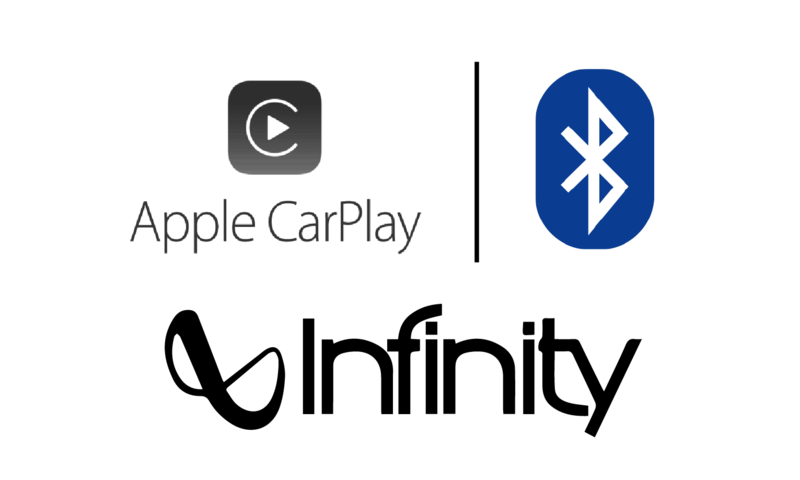 The Elantra Sport’s standard Android Auto™ and Apple CarPlay™ lets you interact with your smartphone’s maps, texts, music, and more, using voice commands. Staying in touch means being able to talk to friends and family whenever you want. With the available Bluetooth hands-free functionality, you can make and receive phone calls, hands-free through the stereo system, keeping calls safe and convenient. 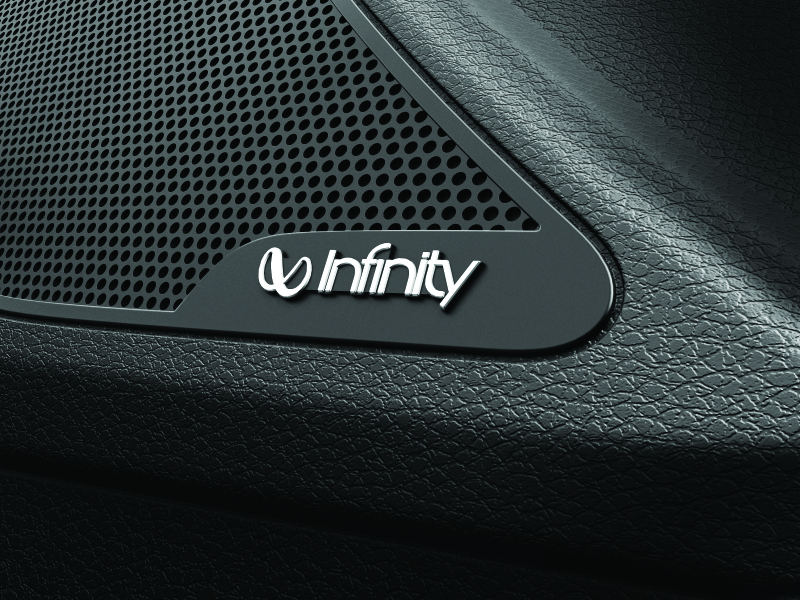 The available Infinity 315 watt premium audio system with 8 speakers and an external amplifier adds more power and presence to your favourite music.